The team at J. 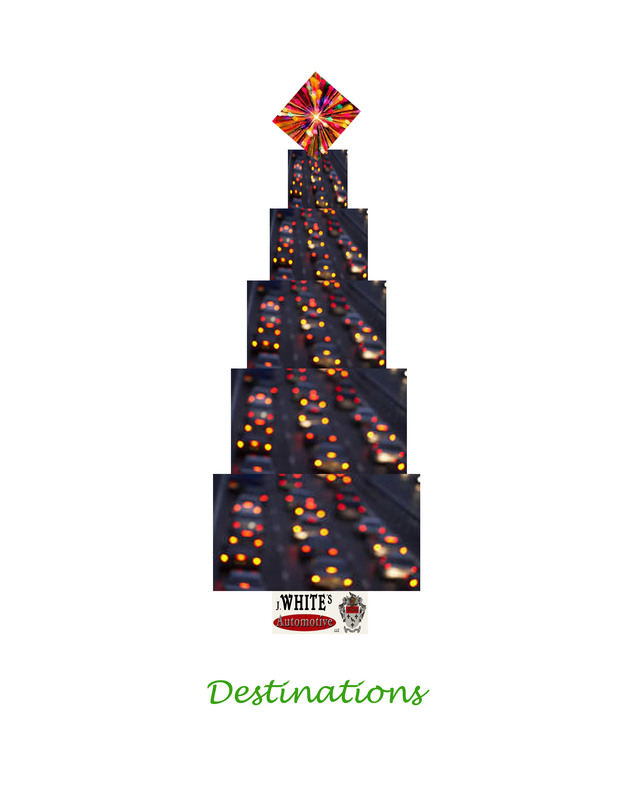 White's Automotive wishes you safe travels over the holiday season. May your destinations be filled with much joy and happiness always. Ok, we are in the business of automotive repair, but we also pride ourselves in helping our customers past, future and present, to maintain their vehicles and avoid costly repairs. Today's tip could avoid tomorrows repair! Remember to turn your wipers off before turning off you engine. If it snows or becomes icy and your wipers are left in the on position, you could burn out the wiper motor the next time you start your car. Thank you for supporting the Daisy Troop 85's food drive. The collection box left in our lobby was overflowing with wonderful donations for the United Parish Food Pantry! - We volunteered our time and delivered the donations. It felt good to be a part of such a great effort to make a positive effort in our community. The donation box will remain in our lobby until December 23rd and we would like to remind you that anybody who donates is welcome to enter a drawing for a free oil change! Our team has added State Inspections for both passenger and commercial vehicles to our list of offerings. We are proud to continue to add to the list of services we offer and thank you for your continued support and business. Our inspection station is located at 143 Milford Street, Upton, MA. Our waiting room allows for you to enjoy some coffee or tea, use the wi-fi or just relax while we inspect your vehicle. The Daisy Troop 85 collection box is filling up! We are proud to be able to support the effort to collect food for our local food pantry and grateful for those who have helped by donating. Attention Town of Upton Residents. Here is a great opportunity to help our town. Hoping you will take a moment to enter this contest. Together we could help win $10,000 for Upton's Fire Department!